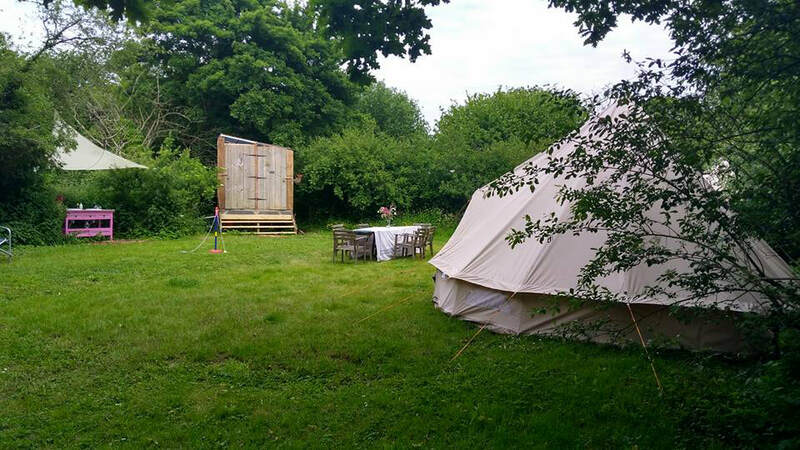 Our Garden is our luxury, rustic glamping site, situated in an area of outstanding natural beauty in rural North Norfolk just 4 miles from the sea and 5 miles from Cromer and Sheringham. Come and enjoy tranquility, space, nature and some of the best beaches in the country. 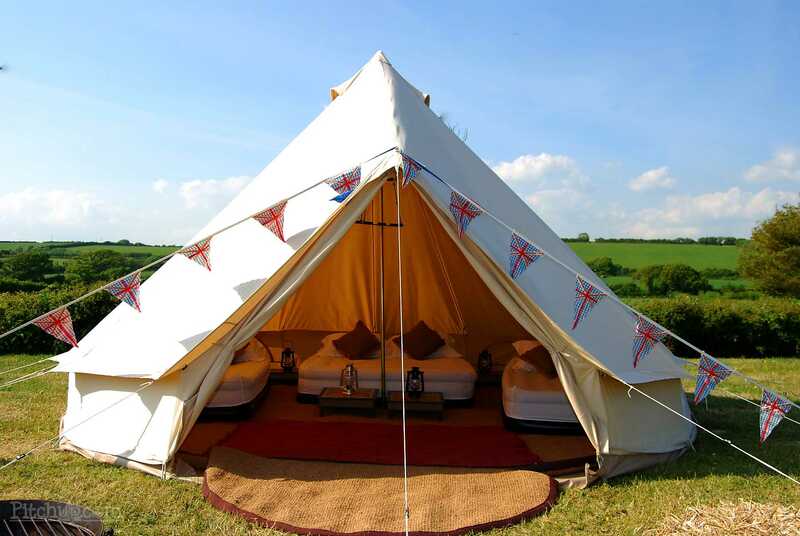 Our beautiful 5 meter bell tents give you and your family all the space you need and have comfortable beds, pillows and duvets along with lighting, decoration and a table/chair. Each tent has its own table and chairs to sit outside and enjoy the sunshine. There is a communal compost toilet and hot shower along with a double marble sink for water, washing and cleaning your teeth, overlooking the field. There is also a fridge and washing up area. We go out of our way to help you have a wonderful time and help you to create memories that will last a life time. Most of the tents have a fire pit, although we encourage everyone to spend time with each other in the grand tipi, after all this is how you make friends. We can provide you with seasoned fire wood at £10 a generous wheel barrow load. If there is anything missing, we will try and find it for you and best of all you get a free cream tea on arrival. 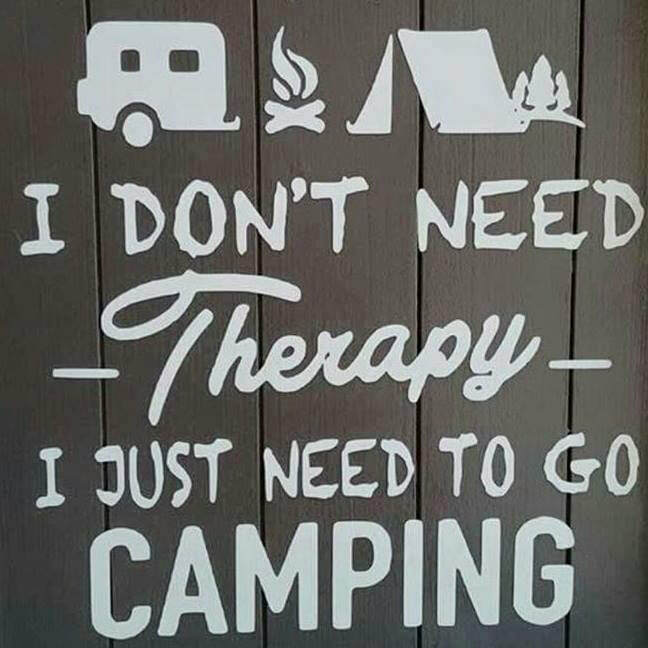 Come and spend a few days in our beautiful, relaxing bell tents.